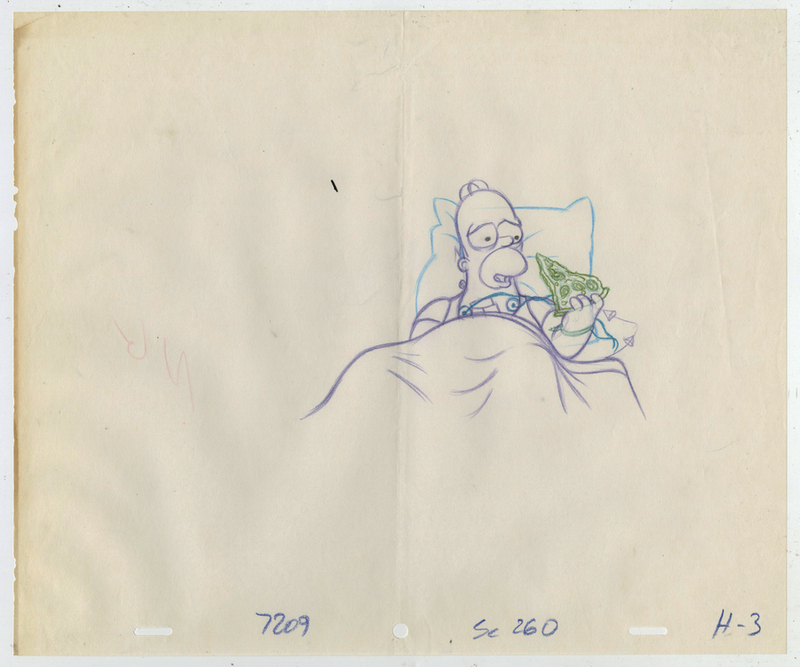 This is an original production drawing from the Fox Studios production of the eleventh episode of the fourth season of The Simpsons,Homer's Triple Bypass (1992). 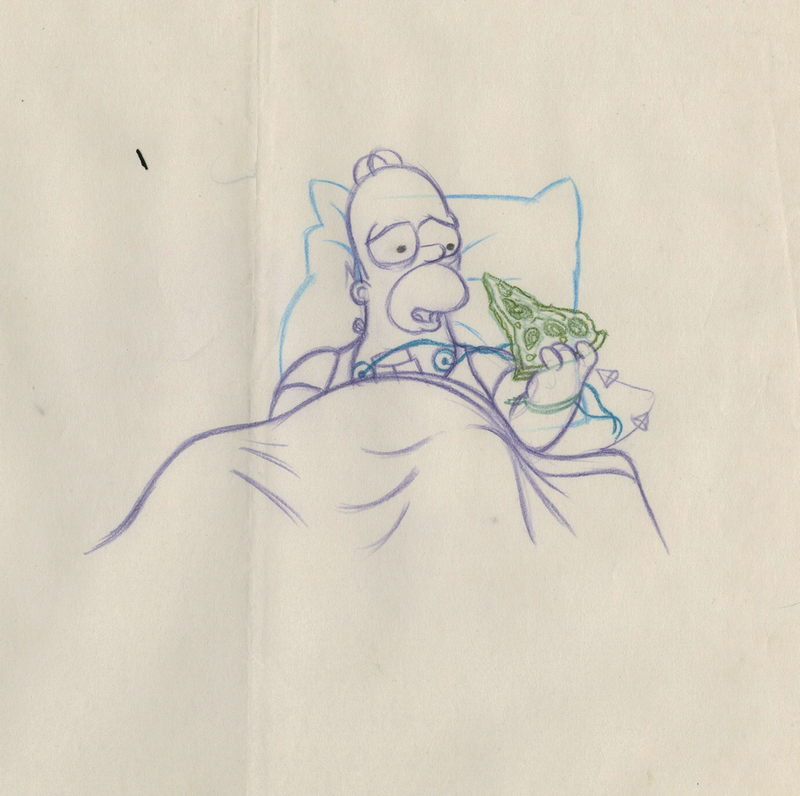 This drawing features Homer eating pizza after completing his surgery, this scene was cut from the episode, and was created at the studio and used during the production of the film. The overall measurements of the piece are 10.5" x 12.5" and the image itself measures 4" x 5.5". The drawing is in good condition with a vertical crease through the page and some edge wear.